Hope Peter, 17 years old, is a Grassroot Soccer participant from Soweto, South Africa. 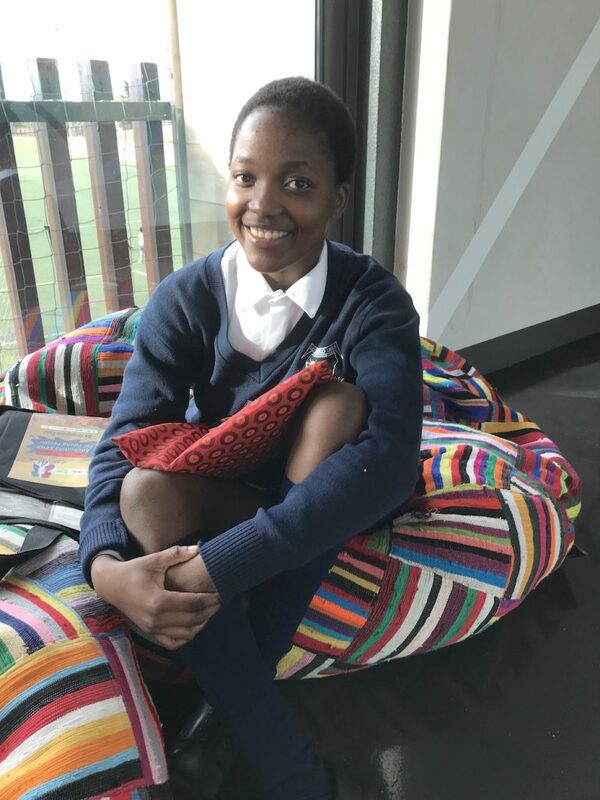 Since grade 6, she has participated in various GRS programs. 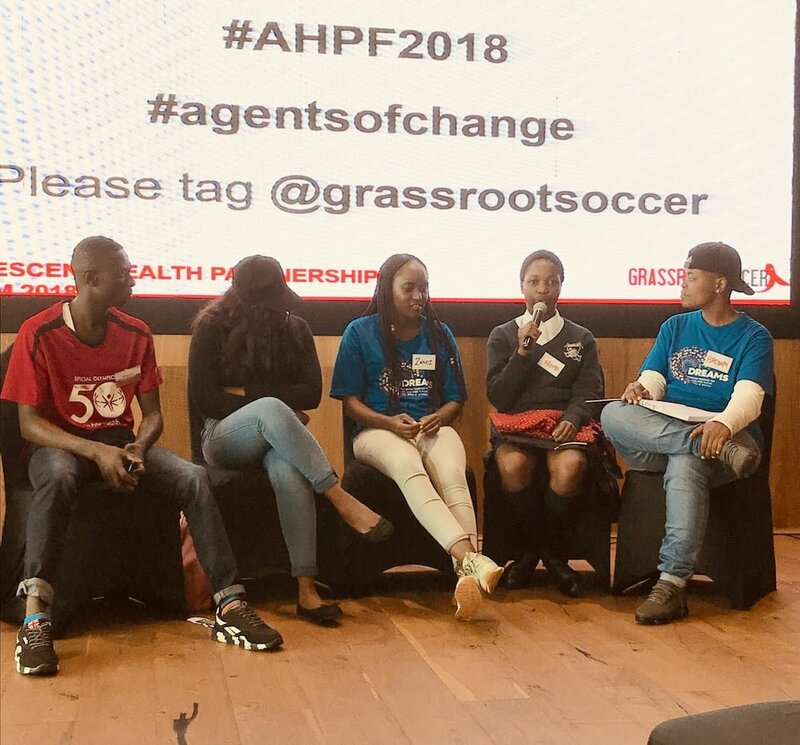 During that time she says she has transformed from being shy to being awarded “Most vocal and confident participant.” In April 2018, Hope was selected to be part of a youth panel at Grassroot Soccer’s inaugural Adolescent Health Partnership Forum, where she talked about how to keep adolescents at the center of these programs. We caught up with Hope after the panel to talk more about her background, her experiences with GRS, and her goals for the future. Can you tell me a little bit about your background, and what your outlook was like before getting involved with Grassroot Soccer? How did Grassroot Soccer change you? Through Grassroot Soccer I was able to boost my self-confidence; it boosted me in so many ways. I was able to change the negatives into positives; I was able to do good for myself. 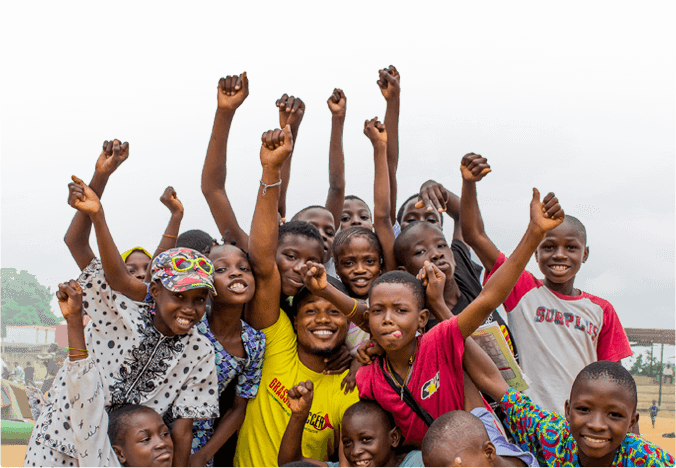 At first I actually thought that nothing good can ever come out from me because…I don’t even know when my next meal will come… But given the platform and the chance to speak to my peers for advice during our Grassroot Soccer sessions, I was able to see that it’s not the end of the world. I can still change it, I can still make a better self out of myself. I can still reach my goals — it’s still possible. Only if I just believe in what I am doing, I will definitely get there. Can you give me an example of how you are taking this new outlook into your life? What about your peers — have you seen examples of where you can influence them? I want to become a chartered accountant. I would also like to become a chief finance officer of a major company in South Africa. But then my real goal after that is to start my own auditing firm so that I can lift up my community and employ people from the community — everyone from the cleaners to the accountants.